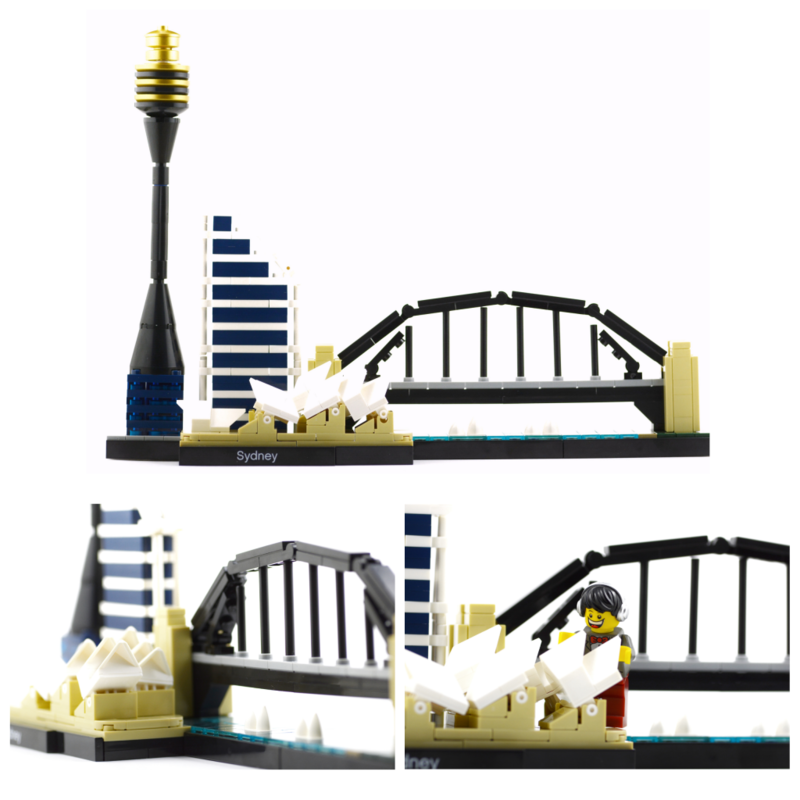 The Sydney skyline can be yours… in Lego form!! What’s the best kind of news? Easy. News about Lego! Today, Sydney takes center stage! The good folks at Lego have immortalised the Sydney skyline in a 361-piece addition to the Skyline Collection of the Architecture series. The build includes the Sydney Opera House, Sydney Harbour Bridge, Sydney Tower and Deutsche Bank Place. Although this is a smallish build (it took me about 1 hour), it is incredibly enjoyable. My favourite part is the simple, yet effective way the Sydney Opera House has been put together. It’s surprisingly accurate! The set is available on 1 January 2017, and is priced at AU$49.99/ US$29.99. If you’re looking for a more in depth review, head over to Jay’s Brick Blog (my fig placement is an homage to his much funnier use of the shark suit guy). I’ve also linked to a Brickstameet video where the set was put together during a flight from Melbourne to Sydney! A big thank you to the Lego Group for providing me with a review copy.